The Institute of Advanced Motorists (IAM) has announced the launch of its new winter road safety campaign, which aims to educate drivers on the dangers of the road during the colder months. As part of the body's new Wheels In Winter campaign, motorists are reminded of the risks involved with taking to the roads after dark and in wet conditions. With the nights drawing in and inclement weather the norm for this time of year, the IAM has set forth a number of tips on safer motoring in these treacherous conditions on its social media hub, as well as creating a new short animation to highlight its advice. IAM chief executive officer Sarah Sillars commented: "Winter driving needn't be difficult, and with a few small changes driving in bad weather conditions can be made far safer and more enjoyable. "We advise motorists to avoid travelling in severe weather conditions – could you delay that visit to the shops or walk to school instead? But if you do need to travel, prepare properly and read our advice to ensure you and your loved ones are safe." 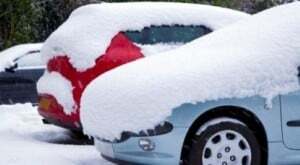 Figures published by the Department for Transport show that snow, sleet and fog were some of the most common causes of accidents in winter 2014 (causing 368 serious or fatal incidents). At the same time, slippery roads were cited as a chief contributor in more than 1,200 accidents.